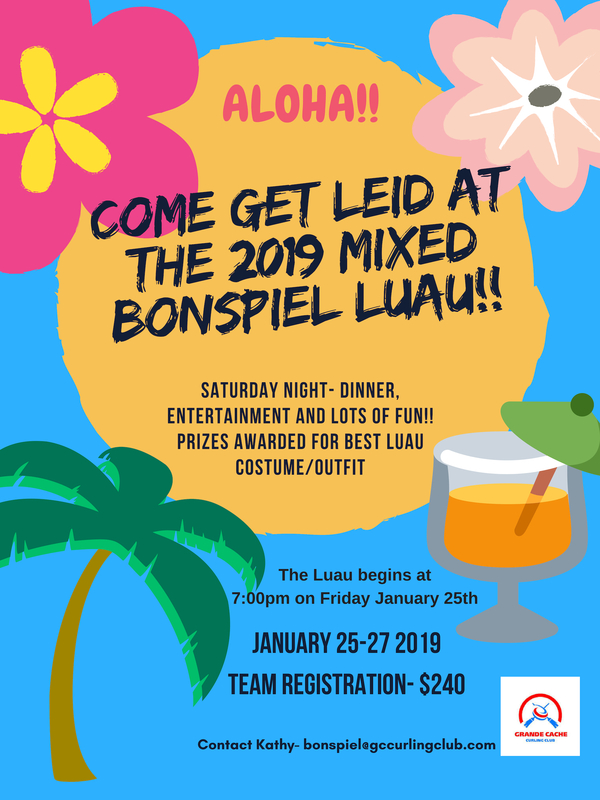 Come join us for our 2018 Mixed Luau Bonspiel!! The fun starts at 7:00 pm on January 25th. Prizes will be awarded for best costume/outfit. Dinner and entertainment on Saturday evening. Team registration is $240 per team.